From start to finish, traveling internationally is far different than a domestic trip. Your packing list and even the time you arrive at the airport are impacted when you travel overseas. Whether you’ve booked independently or through a business travel agency, your international business etiquette is just as important as your suitcase. Here are four tips to keep in mind for your next global business trip. In the U.S., relationships are the backbone to a business’s success. These include internal relationships with your employees as well as external connections with clients. On the other hand, in other cultures around the world, relationships are held to an even higher standard. In some places, relationships are even more important than the business matters at hand. It’s important to learn your colleagues’ names and titles prior to walking in the conference room. This shows them that you appreciate them, instantly gaining their respect. Although business cards are handy in the U.S., they’re not as coveted as they are in other business cultures. In Asia and similar emerging economies, you are expected to treat a business card with as much respect as you would the person who gave it to you. You’ll notice that someone handing you a business card will do so with both hands, indicating its delicacy and importance. Once it’s in your possession, it’s a sign of respect to read the card in front of the person, which will also help you remember the person’s name and title. That is, if you’re traveling to central Europe where meetings typically begin right on time. On the contrary, Latin American cultures usually start their meetings later than the expected start time. However, a good rule of thumb is to arrive far earlier than expected, so you’re not embarrassed either way. Research the region or ask a local colleague to better understand timing expectations. In the same vein, leaving early from a meeting can be viewed as disrespectful. Your early departure can make or break a business deal. You don’t have to stay all night — just be sure you’re not the first person to leave. This gives off the message that you have more important places to be. Socializing outside of the conference room is expected. Most cultures truly value that time and believe it strengthens relationships and trust. When traveling abroad, get in the mindset that you’ll be immersed in the culture after hours, and this goes beyond a dinner outing. The common expectation is that you’ll join your colleagues at a nightclub, bar, golf course, or any other place in town for an extended time. It’s believed that the less time spent talking about business, the more trustworthy you’ll appear when it comes to more serious matters. 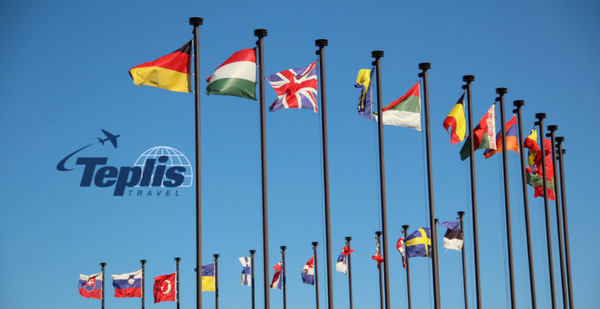 No matter where you’re traveling, Teplis Travel Service will get you there. Since 1972, we’ve supported corporate travelers around the world with innovative technology and the lowest fares in the market. You can take advantage of online booking tools, traveler tracking and travel alerts, as well as real-time travel reporting. Get in touch with a Teplis Travel representative today at 800-669-6547 to take your next trip to the next level.